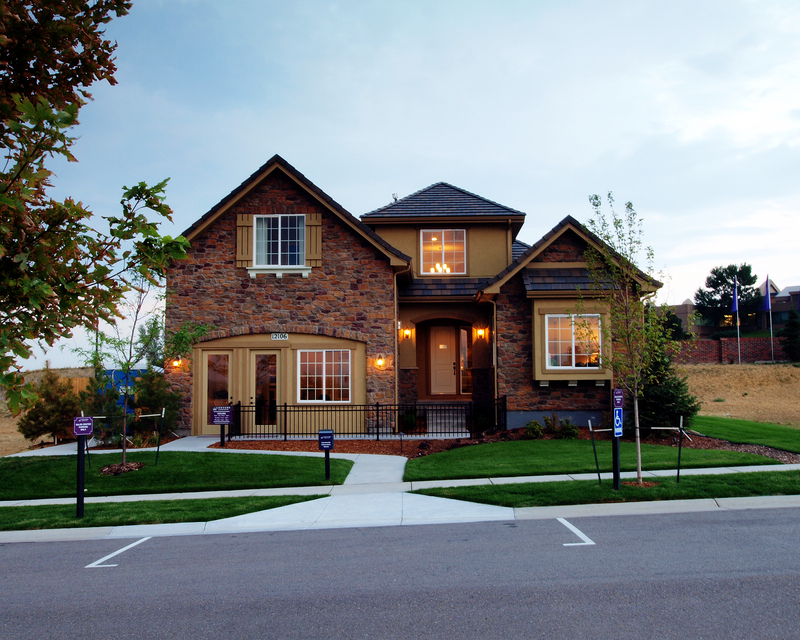 The newest community created for Century Communities is now open! The Country Club Highlands Community is conveniently located off of I-25 and 120th Ave. in Westminster, Colorado, and offers buyers five beautifully designed ranch plans. These homes start in the upper $300’s and offer open floor plans with lots of windows to enhance the views of the Rockies and bring in plenty of natural light. Godden|Sudik Architects designed these smart, practical homes with gourmet kitchens, curved stairways, high ceilings and many optional add-ons so that those traditional ranch plans can be beautifully designed to fit any buyers needs. 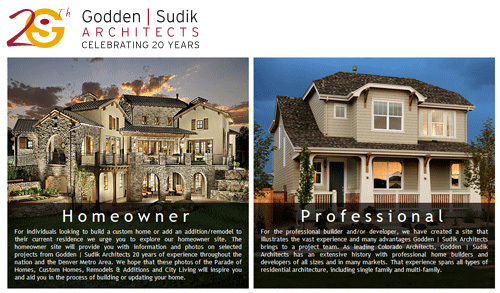 Godden Sudik Architects is an award winning design firm founded in 1992. The firm specializes in residential architecture ranging from custom luxury homes to single and multi-family homes and is unique in our ability to team up with structural designers Dossey Sudik Engineers to make the homeowners design experience more streamlined. Godden|Sudik Architects was recently awarded the prestigious Gold Nugget Award for the Single Family Detached Home up to 2,000 square feet category for the Rosamond at The Greens at Lowry. The awarded model was designed for respected Denver Builder, Berkeley Homes and has done exceptionally well in today’s market, selling out within only months. The awarded model features a two story, 1,962 square foot open floor plan that features a gourmet kitchen, well designed flex space, an elegant formal dining room and master bedroom with a spa-like master bathroom. The Rosamond has been a consistent award winner for us. The Rosamond has also earned other national awards such as a Best in American Living (BALA) Gold Award at this year’s International Builders Show in Orlando. The annual award, now in its 49th year, “honor creative achievement in architectural design and land use planning for residential, commercial and industrial projects. 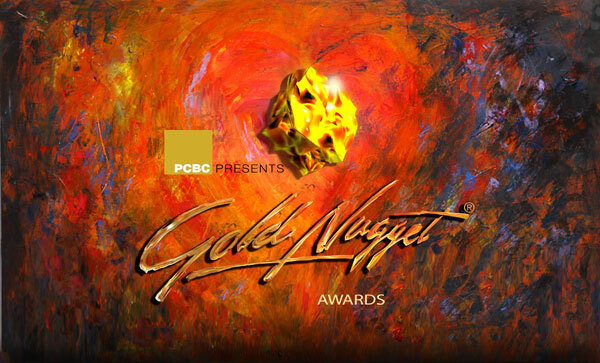 Gold Nugget winners share one common denominator: excellence and innovation in addressing complex design/build issues,” says the national PCBC website. “Yet again, entries from across the nation continued to push the limits of design and innovation while providing insights into tomorrow’s design trends,” said Lynne Pratt, 2011 Design Committee Chairman and President of Pratt Building Co. in Auburn Hills, Michigan. Godden|Sudik Architects New Website is Here! In a move to bolster Godden|Sudik Architects‘ to provide our customers with a deeper, more informative and engaging website experience we have launched a new and vastly improved website! “We knew our former website wasn’t getting the job done,” said company principal, Paul Brady. “It was attractive and had a few engaging features, but it wasn’t positioned to do well with the search engines. Our old website was navigationally clunky and slow loading, it didn’t feature many lead capture opportunities and it simply fell short of presenting our experience, capabilities and award-winning architecture the way we knew it needed to,” Brady added. With all the social media sites, it’s hard to know which ones are worth your time. When we set out to develop our new website, we also wanted to make sure that we were utilizing the social media sites that display our work the best and help our clients brainstorm ideas while developing their project. After much debating, discussion and research, we have figured out which group of social media sites are best for our firm and we invite you to check out all our different pages! Below we have listed our pages with a short description of the site so you can decide which ones best fit your needs. Blog – Our blog features events and ideas happening in our office and throughout the industry. 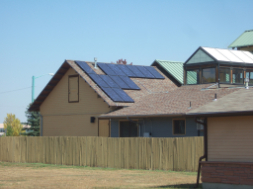 It’s a great resource for gaining quick tidbits about the housing industry and in the future we plan on doing series on energy efficient homes, designing you home, basic architectural styles and more! Google+ – This site gives a quick business profile of Godden|Sudik Architects and allows other Google users to connect with us easily. 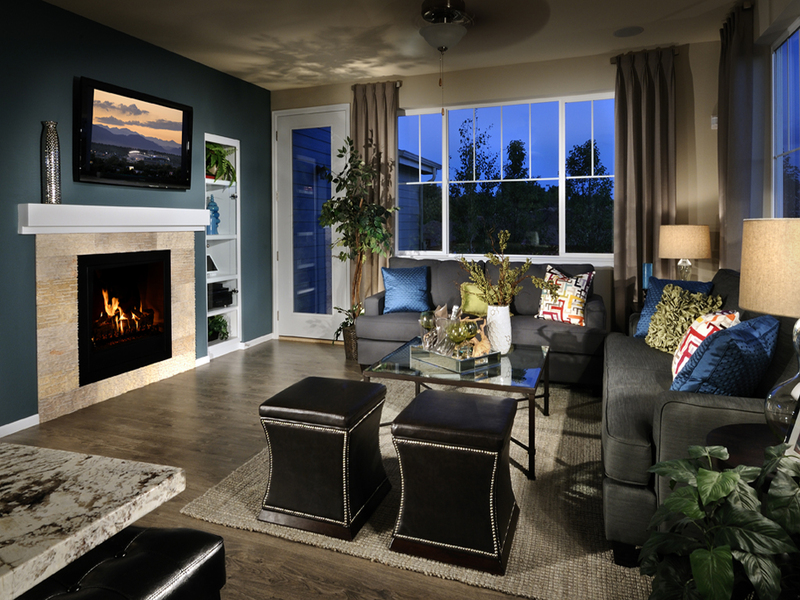 Houzz – This is one of our favorites!!! Here is a searchable database of user uploaded residential photos. You can search by style, space, location and/or keyword. If you are looking for images and ideas for your new home, this is the place to go! YouTube – To get a firsthand look at how Godden|Sudik conducts a frame walk or to take a virtual tour through one of our home designs, please visit our YouTube station. Our station gives you a different perspective into the architecture and construction world that we think you will find very valuable. Facebook – Facebook allows us to reach a wide range of people quickly and gives us the opportunity to share and connect with family, friends, professional colleagues and an extended network of individuals. If you are on Facebook, we urge you to “like” us to receive updates (usually about one or two a week). Pinterest – Pinterest seems to be the next big social media site. The concept of the site is brilliant giving users the capability to browse thousands of photos and pin them to personal boards so you can view them later. While you can find just about anything on this site, we love it for being able to make boards to share with everyone such as a “Parade of Homes” board, “Awarded Design” board and many more to come! Firm principal, Gary Godden, recently spoke at a HBA design symposium about “Universal Design.” In keeping with its three-pronged charge of providing the Denver area residential construction industry with advocacy, continuing education and networking, the Homebuilders Association of Metro Denver held the design symposium entitled, “60 Design Ideas in 60 Minutes”, before a packed room of highly engaged association members and guests. Godden’s segment focused on the burgeoning architectural trend toward thoughtful universal design. “At Godden | Sudik Architects,” says Mr. Godden, “we try to incorporate universal design concepts into nearly everything we design. It just makes sense to design homes with the greatest possible aesthetic appeal and accessibility,” he adds. At the symposium, Godden spoke about tips and tricks he learned for seamlessly integrating universal design ideas into new home designs and remodeling projects, including things like no-step entries, accessible doorways, creating barrier-free floors, curbless showers, accessible kitchens, proper location of handrails and grab bars and providing proper lighting schemes for aging eyes. Godden | Sudik Architects was proud to participate in the 2012 El Paso County Parade of Homes with Century Communities. This year 24 homes from 18 builders participated in the annual parade with homes ranging from $200,000 to over $1,000,000. 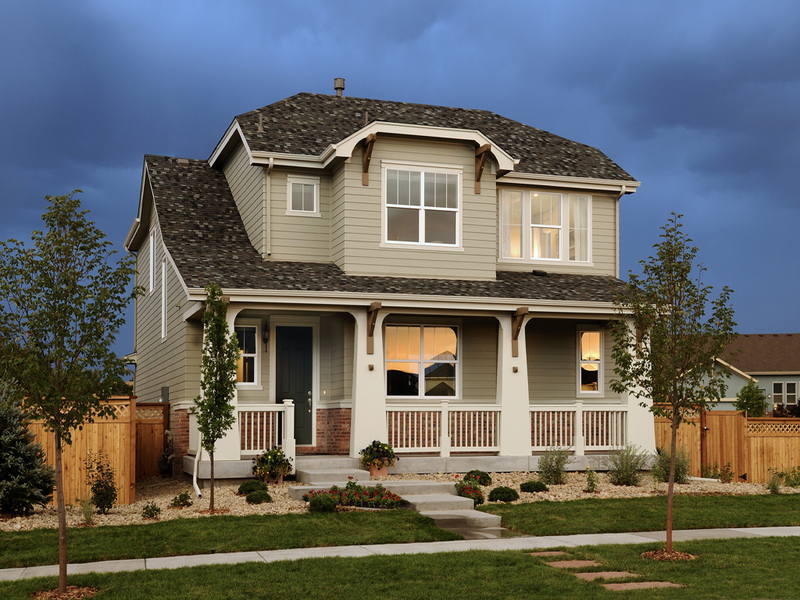 The “Residence 4020,” which was featured in the $300-350k category, is located at the Meridian Ranch Community in Peyton, Colorado, and features a two story floor plan with over 4,200 square feet of open living! The kitchen includes a large island, large walk-in pantry and butler’s pantry. Other unique features of this floor plan are a study, owner’s entry and informal dining area. For those who love outdoor entertaining, the home offers the option of the “Colorado Room” which is a glorious covered deck with fireplace and BBQ option. In addition to receiving “Industry Awards of Excellence” for specific categories voted on by a professional judges panel, homes can also receive the coveted People’s Choice Award which is only awarded to one home within its price bracket and is selected by attendees to the parade. We are so pleased that this great home won seven awards (see below) between the Industry Awards of Excellence and People’s Choice Awards!!! With so much new work this past year Godden|Sudik Architects found ourselves needing to hire enough people to double in size! We are very pleased that we found such great people to join our team and would like to welcome our most recent team members Kyle Conley, Lindsay Slavin and Tim Williams. Kyle completed his undergraduate degree in architecture at the University of Notre Dame. Kyle moved from Florida where he gained experience working at a high-end residential architecture firm whose projects are located throughout Florida and the Bahamas. Additionally, he completed an internship with an engineering firm and completed a study abroad program in Rome, Italy. Kyle not only brings his broad knowledge of architecture to the team but wonderful rendering and artistic techniques as well! Lindsay recently graduated with a Masters of Architecture from the University of Kansas where, in addition to her stateside studies, she was able to complete a study abroad in Spain and France. In addition to her worldly travels, Lindsay brings many prestigious awards from her collegiate career including: 1st place in the Inaugural Nurture Competition and Honorable Mention 2012 AIAS @ SAGE Renewing Home Student Design Competition. Additionally, Lindsay brings her knowledge in Revit and Adobe Creative Suite to aid in the teams’ construction documentation and graphic design. After Tim completed his undergraduate degree in Civil Engineering with an emphasis in Structural Engineering at Colorado State University, he worked for architectural firms in the Lake Tahoe area as a designer and project manager. During his employment in California, Tim managed high-end vacation and estate projects throughout the state of California that implemented heavy timber, mountain vernacular and pier construction. Tim’s experience with these unique construction methods and project management allows Godden|Sudik Architects to continue to offer its custom home clients the best in design and construction documentation. To continue growing as an architect and designer, Tim received his Master of Architecture degree at the University of Colorado Denver while also obtaining his LEED AP professional credentials.